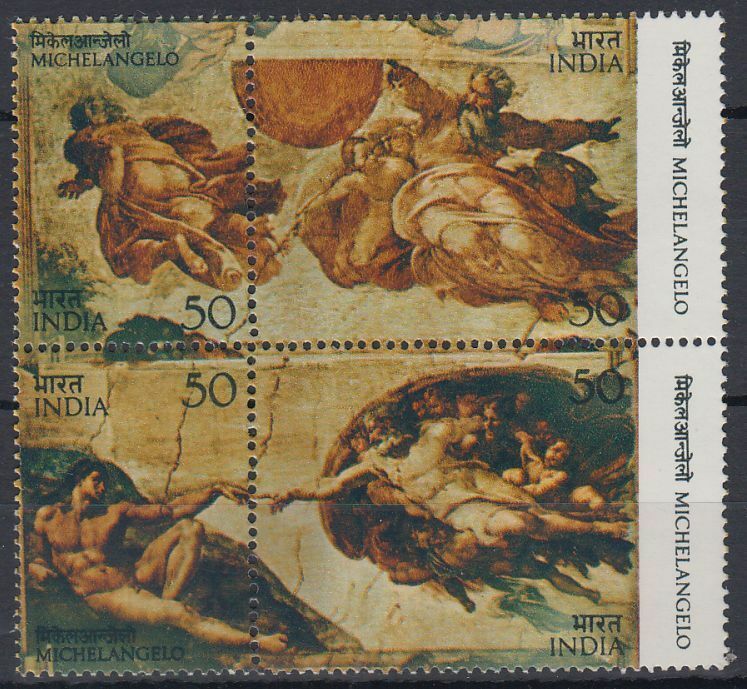 India 1975 Fdc & Stamps MICHEL ANGELO PAINTER Michelangelo's "Creation of Man" and " Creation of Moon and Planets" Se-Tenant of Four Stamps - India 1975 Famous Paintings at Sistine Chapel in Vatican Item Condition As In Picture. Get It Before Its Gone . Save The Vintage For The Future. Shipping & Handling Charges. 5.00 $ For Any Number Of Items Worldwide Including USA.